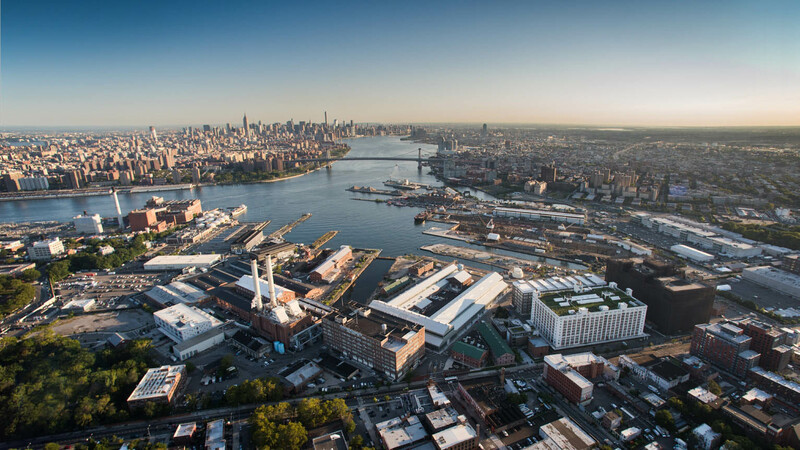 This May 3 to May 5, multiple venues across the Brooklyn Navy Yard will host the inaugural Smart Cities NYC conference and expo. The conference is ambitious in its scope: it features a global selection of speakers with backgrounds ranging from government to technology, academia, real estate/development, and design. Key topics of interest to architects, designers, and developers will be transportation (from biking/walking to driverless cars), public health, innovations in construction risk and public/private partnerships (with panels on the LaGuardia Airport redevelopment and Penn Station), resiliency, and the Internet of Things (IoT). …represents what we’re trying to do more broadly as a strategy: Build a capacity to use technology in cities to get people a better life. We’re looking at any of the levers that make that happen so that young people start inventing more things, governments pick up on these ideas and do them, companies finance them and make them happen, citizens help design them. The more there’s an ecosystem of activity, the better. Notable participants include a team from Columbus, Ohio handling the city’s $50 million “Smart City” grant, Matthew Claudel of MIT’s Design X (who will be on the panel “Anticipatory Urban Design for the Age of Autonomous Vehicles“), New Lab, Ger Baron, the Chief Technology Office of Amsterdam, James Ramsey, co-founder and creator of the Lowline (who will be on the panel “The Repositioning and Revitalizing of Cities”), and Daniel Zarrilli, senior director, climate policy & programs chief resilience officer, New York Office of the Mayor—and that’s just to name a few. See a full list here. The conference will feature lectures, workshops, and social gatherings spread across the Navy Yard venues, which include the 35,000-square-foot Duggal Greenhouse, 30,000-square-foot Agger Warehouse, and the 5,737-square-foot Building 92. The former two are large, open event spaces while the latter features a cafe, terrace, and multipurpose room. There will also be tours outside the Navy Yard (details TBD). For more on Smart Cities NYC ’17, see their page here. Tickets range from approximately $420 to $1,250.